Mix flour and oats in a medium mixing bowl. Pour in 1 cup of water and stir until smooth. Add in peanut butter, honey and fish or flax oil. Mix well. Stir in remaining 1/2 cup of water until a dough forms. Roll dough out on a lightly floured surface to 1/4 inch thickness. 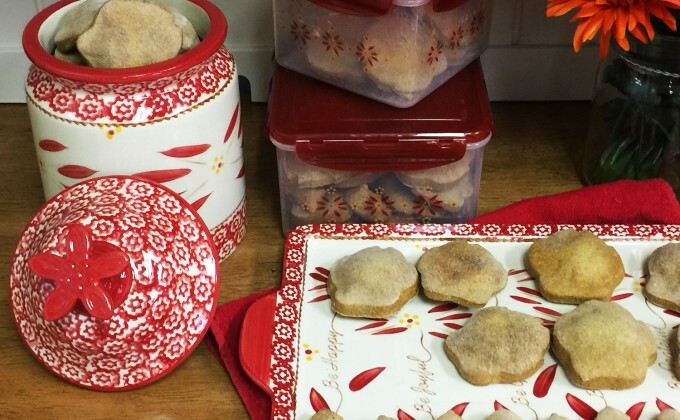 Use a cookie cutter to cut the dough into cute shapes for your dog. Place cookies on a temp-tations Lid-It® and bake for 40 minutes. Cool completely before feeding to your dog.